If you have reached a point where accumulating more debt is not an option, it's time to find a way out of debt. Start your search for a debt cure by doing your homework. Avoid falling prey to the many expensive online 'debt cure'' marketing ploys that will only put you further in debt. If you want to read up on debt cures, check your local library for books on financial planning and budgeting. Another debt cure is to be realistic about your current situation. Make a list of the current debts that you owe and come up with a plan to begin paying them down. The important thing is that you acknowledge what you owe and begin making an effort to pay it down. A further debt cure is not to incur any new debt while you are paying off lolder debts. Adding new debt burden when you already have a sizeable amount of debt to pay off is only adding fuel to the fire. Learning to control spending is never easy, but it will help you in the long run. Once you have paid off most of your major debts, the next major debt cure is not to allow yourself to get into the pit of debt again. Ways to avoid falling back into debt include: putting aside a set amount of money every month in savings to have in reserve as a safety net, planning major purchases, pay for outings and shopping trips with cash, make a budget and stick to it, and cutting up credit cards. Some people can use credit cards again for small purchases after paying off their major credit card debts. However, if you can't resist using your credit cards for more than small purchases, cutting them up and walking away will be a much better alternative in the long run. There are plenty of legitimate, useful debt cures available that will help you pay down your debts and avoid falling back into the same debt burdens. 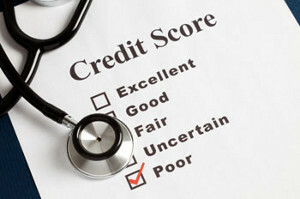 If you are suffering from debt, you should research all of the debt cures that are available out there to help you.